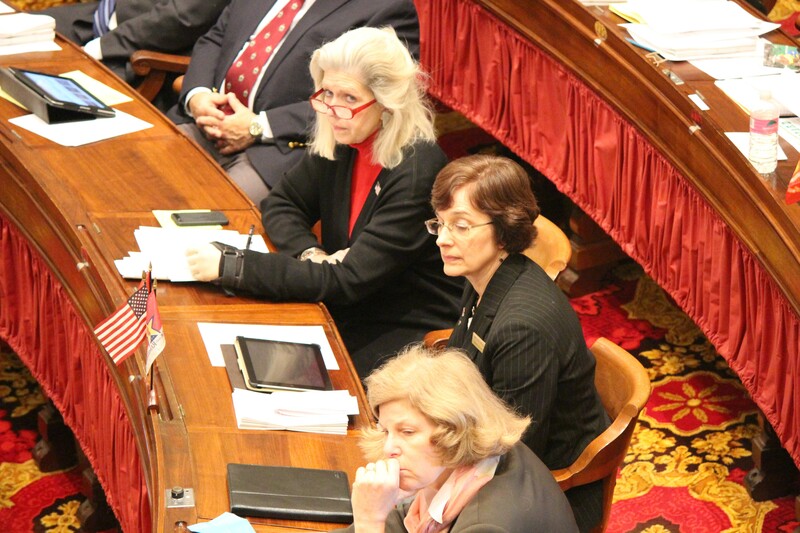 Rep. Vicki Strong listens as the House debates an abortion resolution. Forty-two years after the Supreme Court legalized abortion in its Roe v. Wade decision, Vermont pro-choice activists gathered in a Statehouse meeting room Thursday morning to remind one another that Congress and other states are making moves to restrict access to abortion. “It’s not a fight that’s going to go away,” former Gov. Madeleine Kunin told those attending the gathering, which was organized by Planned Parenthood of Northern New England. In the nearby Statehouse cafeteria, tables were littered with fliers emphasizing the value of adoption and offering testimonials from women who regretted abortions. 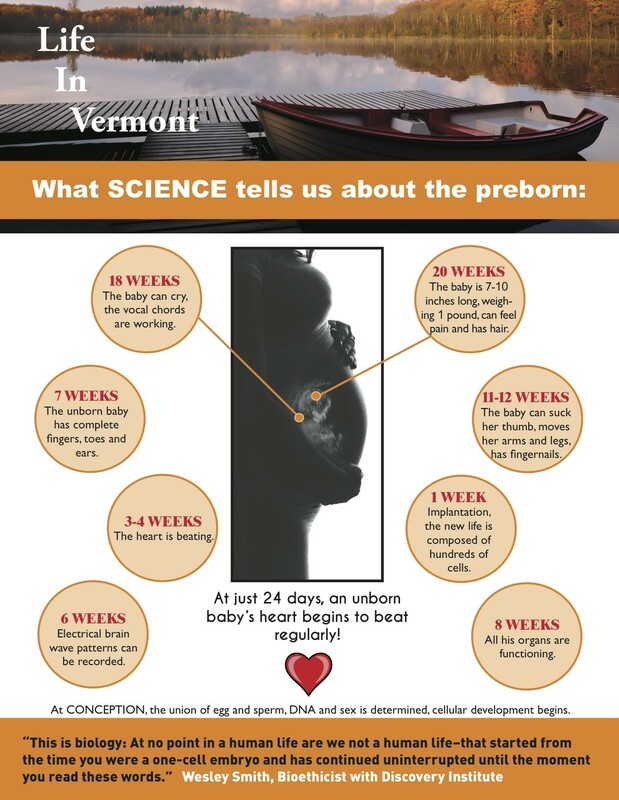 The Vermont Right to Life Committee spent $20,000 to put copies of the fliers in 21 publications around Vermont and will be airing a pro-adoption television ad, executive director Mary Hahn Beerworth said. “This is going to be a big agenda item for us,” Beerworth said. By Thursday afternoon, the abortion issue hit the House floor, even though there is no active legislation in Vermont to change state abortion law. Pro-choice activists insisted on a roll-call vote on a resolution recognizing the Roe v. Wade anniversary. The resolution comes up virtually every year, but it's rare for lawmakers to insist on putting members on-record with a roll-call vote. Rep. Maxine Grad (D-Moretown), who asked for the roll call, said afterward she did so because of a growing sense that the issue is heating up nationally and in other states. Congress voted Thursday to ban federal funding for abortion. On Wednesday, House Republicans dropped an earlier plan to attempt to ban abortions after 20 weeks of pregnancy. “Reproductive rights are under attack in this country,” Grad said. The House roll-call vote clearly made some Republicans uncomfortable. In a pre-vote caucus, Rep. Bob Bancroft (R-Westford) asked how members could abstain. Only by not being in the room for the vote, House Minority Leader Don Turner (R-Milton) told him. When Bancroft’s name was called during the vote, he was absent. By a 100-43 vote, House members passed the resolution, which urges Congress and other state legislatures to protect Roe v. Wade. “It’s not something to celebrate. It’s something to pray about,” Rep. Vicki Strong (R-Albany) told Republicans during the caucus. More than four decades later, the Vermont Right to Life Committee is altering its strategy on the issue, Beerworth said. “It’s a little bit of rebranding,” she said. The flier appearing in publications around Vermont replaces an annual action guide that the group’s members liked but that got little traction among non-members, Beerworth said. She said her organization hopes to reduce abortions to zero by emphasizing adoption options. Birth mothers have more choices when it comes to maintaining contact with the adopting family, she said.